Local authorities have suffered over recent years due to ongoing austerity and have been asked year on year to do more with less. This has in some cases put services at risk, allowed contamination levels to rise, restricted communication campaigns to the bare minimum and increased tension between authorities and their contractors. This backdrop has inevitably resulted in some authorities bringing services back in-house, while for others it has provided them with some degree of comfort that their decision to never engage the market was the right one. But my experience as a local authority officer (who contracted out), as a consultant (over 15 years supporting authorities when benchmarking their services and when procuring new solutions) and now at SUEZ has opened my eyes to any number of different delivery models. The one thing you can be sure of is that ‘there is no right and wrong about in-sourced and out-sourced services’. As long as the service in question is well designed, has been benchmarked for performance and cost, and is regularly scrutinised to ensure it continues to deliver value for money then authorities can choose any delivery option they please, so long as they are confident of any political or public challenge several months or years later if the cost profile or performance levels change. Value for money, service affordability and commodity risk are without question the current buzzwords for our sector, and they are inextricably linked. 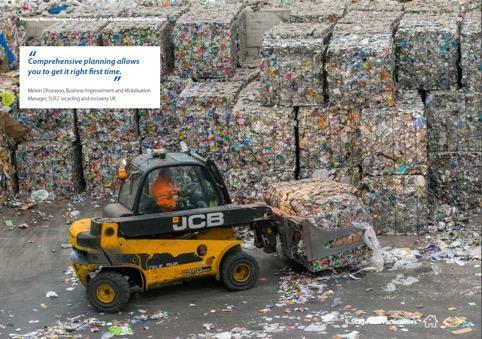 Equally, we have Defra’s planned Resources and Waste Strategy on the horizon with a proposed new Extended Producer Responsibility (EPR) system that may affect local authority funding and see end markets and manufacturers setting clear quality requirements for any recycling that is collected. This may not only change the local authority services on offer, from deposit return systems at leisure centres and new chargeable services at HWRCs but may well result in a significant shift away from commingled materials collections to source segregated systems. This uncertainty, and the ongoing restrictions on budgets at a local level is making any form of service procurement harder than ever, but that is no reason not to go to market, and to keep your service in house – don’t take the easy option, it will more often than not fail to deliver the best solution. Go to market and get what? Engaging the market right can encourage innovation, will ensure the sharing of best practice (from across the UK and further afield) and should drive competition thus improving the overall affordability of your proposed solutions. That is why SUEZ commissioned Ricardo Consulting to develop a local authority waste management procurement toolkit, with the intention of helping local authorities to contextualise many of the big issues facing the sector, and how to handle them in any upcoming service evaluation and planned procurement, and of course to dispel some of the myths about contracting out. With over 80 Local Authorities coming to the market for collection, cleansing and recyclate contracts in the next three years, plus the 100 or so authorities with in-house service delivery who might decide to test the market, it should be an incredibly busy time both for local authority officers and those waste contractors bidding to win these contracts. But, in what will be a crowded market place, there is a clear need for local authorities to get things right first time and ensure that their procurement is more ‘attractive’ than others happening at the same time. There is only so much capacity in the private sector bid teams. If five or six authorities are running procurements at the same time, each of us will need to select those that look the best fit for our business and will rule out any that look ‘excessively complicated, have tight timeframes or are asking for a large number of variant solutions and modelling to be done’. With local authority waste management teams still reducing in size, and with valuable skills and experience having been lost through staff retirements or redundancies during austerity, any decision to procure is a big one. The trend for procurements being run by the procurement team rather than being driven by technical waste officers is also a concern for the market – buying lightbulbs and printers is very different from a recycling and residual waste collection, but we knew that didn’t we. In the past additional resources would have been brought in to fill these gaps and to help deliver these procurements, from interim staff to consultants, but increasingly officers are being expected to run procurements as well as deliver their day jobs. This is an almost impossible task, and something that concerns the contractors potentially bidding for the local services as it increases the risk profile of the procurement. Planning for your procurement is my number one piece of advice. Spend as much time as possible up-front deciding what it is you want to deliver, what you like about your current service, what innovations you want and why you want them. This is an opportunity to get feedback from everyone involved in the current contract on what’s worked, what could be improved or delivered differently and what the future might look like. I recently visited one authority who has three years until its service contracts comes to an end yet had already started to think about how the market is changing, the new risks and rewards they need to understand, and what service performance they might aspire to. Number two on my lists all about having a thorough understanding of what you want to achieve from your service (and contract) which is vital when considering whether the service is delivering value for money. Up front analysis is critical and an options appraisal can help you to fine tune exactly what you want and what performance you expect your service to achieve whether it’s a high recycling rate, clean streets or a widely accessible HWRC network. Proper soft market testing is tip number three, as this provides the authority with an opportunity to get feedback from the market on how attractive your proposals might be, whether they agree with the way in which you’ve packaged your contract, and what they think about your risk proposals. It can also help you to iron out issues in terms of infrastructure provision (sites, depots). But, it is important to think about what you want from the market testing, it shouldn’t be a tick box exercise, it is an opportunity to gain real insight from the market before you’ve crystallised your thoughts on the way forward. The final tip is all about understanding risk. What it is, who has responsibility for it (or who is best placed to do so) and what can be done to mitigate it? Early planning and engagement both internally and externally can help with this, as can sharing experiences with other authorities who have recently competed their procurements (what lessons could we learn?). Finance and procurement teams often aren’t fully aware of the wider policy and regulatory environment in which waste management services sit and may need to be given a background to some of the challenges so that risk can be properly factored in to any options appraisals, affordability assessment or eventual procurement exercises. Staying abreast of sector changes, policy developments and new risks or opportunities is key to ensuring your procurement hits the right spots, is considered attractive by the private sector, and generates the kind of commercial interests that not only drives the price down, but also allows prices to be sensible, with the private sector only taking on responsibility for the risks they can control and not the global commodity market. The Ricardo Procurement Toolkit is now available to download here and was designed as an independent guide for Local Authority officers and their partners providing an overview of the procurement process from all perspectives. It has a number of top tips and useful advice from bidders, officers and advisors on taking any waste related service from existing service, through business case for change and to ultimate implementation. Although local authorities are facing tough times, procuring your services and solutions should not be seen as a burden or headache. Instead, it should be seen as an opportunity to deliver value for money public services, a means of driving efficiency and improving performance standards. But you must think strategically, start to plan early and recognise that the market is a competitive one and you need to be attractive if you want the right partner for your next contract cycle. We are always happy to chat about your ideas before you decide on your procurement route and service specification, so drop me a line. There are many challenges ahead for local authority service provision and procurement, but challenge is what drives innovation. By thinking differently, we can create any number of new opportunities to improve service performance, deliver value for money systems and build in contract flexibility which can cope with the uncertainty facing us both commercially and in policy terms. We (the private sector, and SUEZ in particular) will continue to look for innovation, sharing best practice, and bringing lessons learnt from other contracts to our Local Authority partners. This will inevitably lead to new and exciting ways to procure and deliver services in the future, as the sector is forced to re-evaluate old models and processes. In the coming months there will be plenty of opportunities to debate some of the issues raised in this blog and to hear more about the toolkit. Later this month we will be at RWM so please stop by our coffee zone with relaxing sofas any number of SUEZ staff will be on hand to discuss municipal contracts, procurement myths and the state of the market. In October, we will be active at LARAC, presenting some of our initial insights into local authority DNA and bespoke targets whilst participating in three work shop: extended frequency collections and procurement. This includes one on municipal service commercialisation and procurement opportunities, hosted with Ricardo – so make sure you register and come and see us on our stand or in the workshop. Finally, we will be jointly hosting a webinar with Ricardo on 15 November from 2pm until 3pm where we will share more of the lessons learned in developing the procurement toolkit and how it can be best used. I look forward to engaging with you then, so please register here. Things are changing quick, and I hope this guide and the insights it shares will help break down some of the myths about what bidders think about procurements, and guide local authorities in doing the right things to make any procurement as simple, stress free and effective as possible, after all no-one wants to waste time or money.